A man makes a slashing motion across his throat toward counter-protesters as he marches with other white nationalists, neo-Nazis, and members of the alt-right during the Unite the Right rally in Charlottesville, Virginia, on August 12th, 2017. 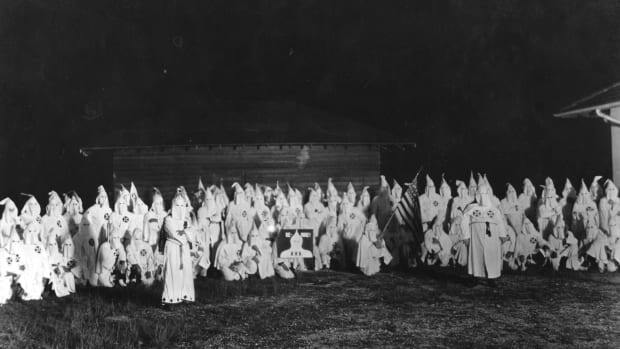 Growing up in northeastern Pennsylvania, I encountered occasional anti-Semitism. In middle school, classmates would sometimes throw pennies at Jewish students (because Jews are greedy, get it?). The fact that I have recognizably Jewish features may have contributed to some mild bullying as well. It&apos;s always hard to know why one person is picked on rather than another, but it doesn&apos;t help to look a bit different from your classmates. These incidents weren&apos;t especially traumatic or transformative. On the contrary, what stands out about them is how unusual they were. In my adult life I&apos;ve encountered little in the way of prejudice. When people look at me in America, they mostly see a white man, not a Jewish person. Anti-Semitism exists in the United States, but in my experience it&apos;s been quite muted. It isn&apos;t something I&apos;ve had to think about day to day. Or at least, it didn&apos;t use to be something I had to think about day to day. The rise of President Donald Trump has empowered bigots of every stripe. That includes anti-Semites, as New York Times reporter Jonathan Weisman writes in his new book (((Semitism))): Being Jewish in America in the Age of Trump. 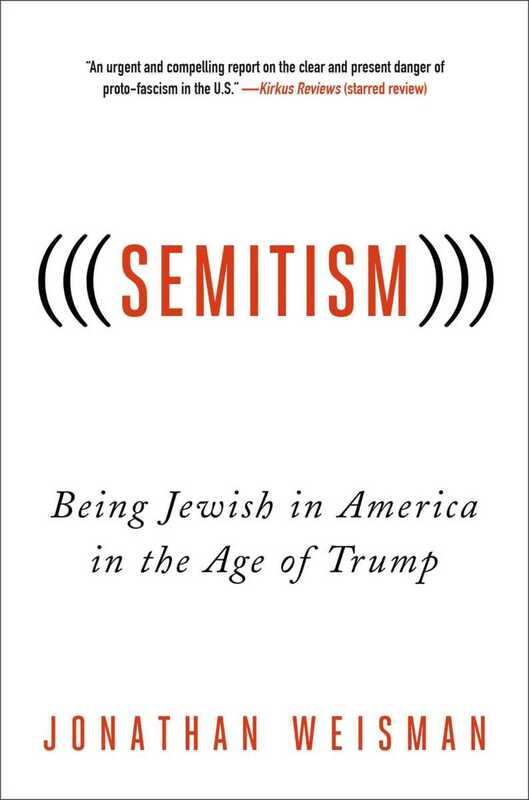 The new anti-Semitism is understandably frightening for Jews, and Weisman argues that it calls for Jews rethink their approach to Jewish identity—and to do so in ways that repudiate not just anti-Semitism, but all prejudice in the Trump era. In his book, Weisman talks about how, like many Jewish writers during and after the 2016 election, he experienced a massive surge in targeted anti-Semitism on social media whenever he dared to criticize Trump. He was sent Jewish caricatures and images of Auschwitz. "I still get it," Weisman tells me. "The anti-Semites on Facebook and Twitter are always on me." (((Semitism))): Being Jewish in America in the Age of Trump. Though Weisman says he doesn&apos;t fear for his own safety, he is concerned about what the surge in bigotry and hate means for the future of the country. "The Trump era is about taking out the guardrails and letting people express opinions freely that used to be completely unacceptable," Weisman tells me. He adds that removing those guardrails is dangerous. "I don&apos;t believe that we should be ignoring what is just plainly in sight," he says. By Weisman&apos;s account, the Jewish community needs to address the upswing in hate. Unfortunately, he says, that community isn&apos;t well organized to do so. Because anti-Semitism in the U.S. has not been a live issue for some time, Jewish organizations aren&apos;t, for the most part, focused on fighting bigotry. Instead, Weisman says, "Jewish organizations, especially the mainline Jewish organizations like the American Jewish Committee, and the American Jewish Council, are absolutely fixated on Israel." Donors open their wallets to contribute to Israel; lobbyists at the national level focus on Israel policy. On both the right and the left, "Jewish issues" tend to mean "Israeli issues." "Even when Jews argue," Weisman says, "we argue about Israel." Such a single-minded focus on Israel has "been dangerous to the American Jewish population, and it has to change," Weisman says. He notes that the Jewish community has substantial resources and influence, and could do a great deal to combat anti-Semitism and hatred if it rethinks its priorities. Weisman has been particularly impressed by the work that game designer Zoé Quinn has done with Crash Override, an organization established to help people who have been targeted with hatred, abuse, or hacking online. Quinn&apos;s organization provided strategies for protecting online accounts, information about how and whether to file police reports, and counseling about what to expect and how best to respond. I&apos;ve had friends use the organization who found it hugely helpful to get advice and perspective from people with direct experience of being targeted. When Quinn first launched in 2015, Crash Override was run by just a handful of people and was quickly overrun with requests for help. But a similar project fully funded by Jewish organizations could make a major difference to those singled out by Nazis and hate groups. 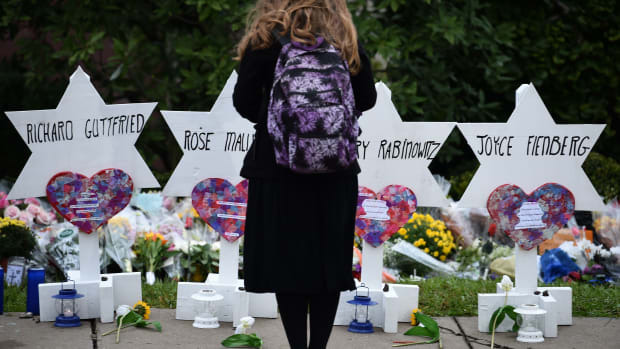 Jewish organizations like the Anti-Defamation League do work to identify and fight anti-Semitic groups, but there are few organizations set up specifically to provide aid and resources to victims of abuse. 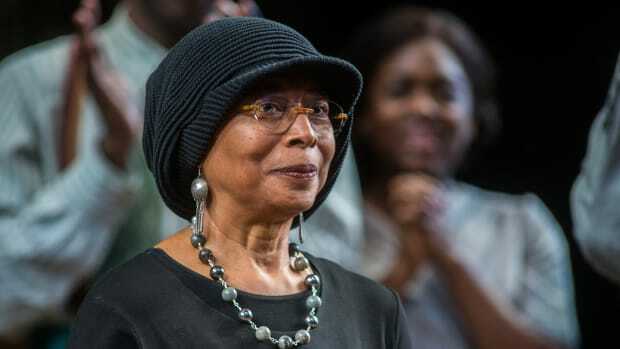 "Zoé Quinn had a unique response," Weisman argues, "and it is replicable." A larger, fully funded Crash Override wouldn&apos;t just help combat anti-Semitism, of course. In fact, as Weisman points out, despite the uptick in anti-Semitism, white Jews in the U.S. do not face the kind of discrimination or abuse that black people, or Muslims, or immigrants do. Crash Override tried to help everyone facing abuse, and a scaled-up version would be a resource not just for Jews, but also for a range of marginalized people who find themselves targeted by misogynists, racists, or homophobes. Jews should align themselves with other marginalized groups as a matter of principle and tactics, Weisman argues. 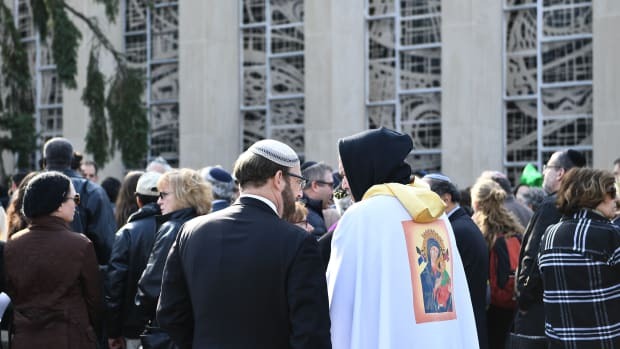 He cites Rabbi Daniel Zemel of Temple Micah in Washington, D.C., who told him: "It says right in our faith, it is our principle to stand for justice. It&apos;s not really a choice." Jews haven&apos;t always stood for justice, of course. Weisman points out that Jewish support for black rights has been, at best, intermittent in America. But many Jewish people and Jewish organizations did support the civil rights movement, and that, Weisman says, is a precedent we should follow. "It was an effective coalition," Weisman says. "And it showed that a unified response to bigotry is the only response that&apos;s going to work." Because anti-Semitism has been more or less pushed out of public life in the U.S. over the last few decades, white American Jews have been able to center their identity as Jews around other issues, most notably Israel. The new surge of bigotry is ugly and depressing; I don&apos;t look forward to the inevitable flood of neo-Nazis in my Twitter mentions after this article is published. But the Trump era might also be an opportunity for Jewish people to recommit themselves to the marginalized, and to justice. Jewish people have a long history of persecution. When hatred is ascendant, Jews suffer—which means that Jewish people have an interest in opposing hatred, no matter its targets. 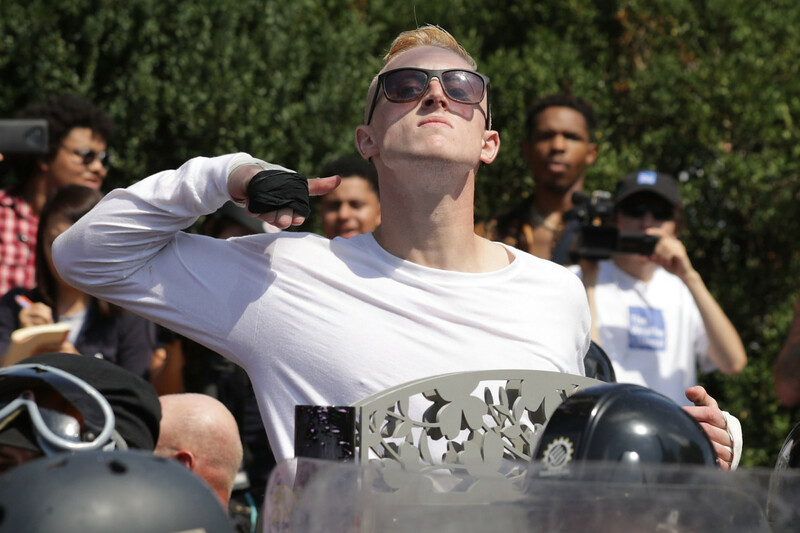 Violence driven by racial or religious hatred is as American as apple pie, according to a cultural anthropologist who has studied the white-power movement. Is it really wrong to have ties to a community based in a shared vision of God, justice, and hope, rather than in land and blood? 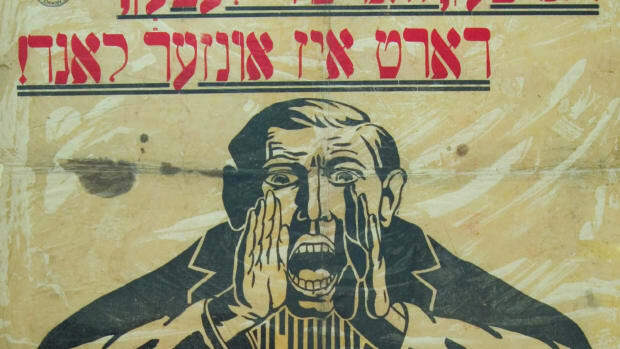 Reports on anti-Semitism are important not because they act as a warning system to Jewish communities, but in how they remind the public of the dangers of anti-Semitic thought. When a young Jewish woman was murdered at my university a decade ago, the crime seemed unthinkable. Today, such events can feel almost chillingly unsurprising. In a German study, the notion of ongoing Holocaust-related suffering among Jews apparently increased feelings of anti-Semitism.